L-Plates and champers are staple Hen Do prerequisites, so be sure to stock up on these. 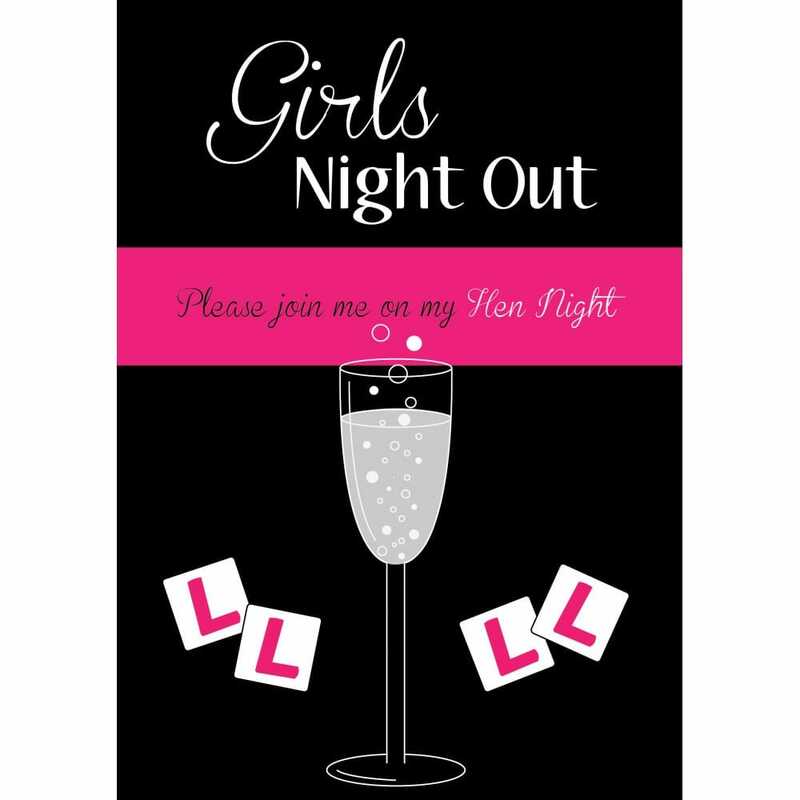 It just so happens, that this pink and black Hen Party invitation, with the words 'Girls' Night Out' embossed in large letters across the top, also features a central champagne glass illustration, with cartoon L-Plates either side of it. Did we read your mind? Download and print your free invitations courtesy of Hen Party Superstore.